:: Homeowners in Midwest City, Oklahoma, are not pleased by an egret rookery near their houses, and want the nests and egrets removed! :: A great article in the New York Times travel section about Minnesota’s Festival of Birds at Sax-Zim Bog coming up February 15th-17th. More festival information is here. :: From Sharon Stiteler, beat writer at 10,000 Birds: How To Choose A Digiscoping Camera. Sharon, aka Birdchick, has her own blog here. 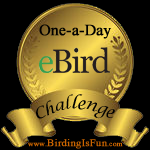 This entry was posted in Birding News, Blogging, General Birding and tagged American Birding Association, Chimney Swift, Eagles, Egrets, New York Times, Redpolls, Spoon-billed Sandpiper, Tufted Puffins. Bookmark the permalink. Thanks for sharing my post on Night Herons Charlotte.